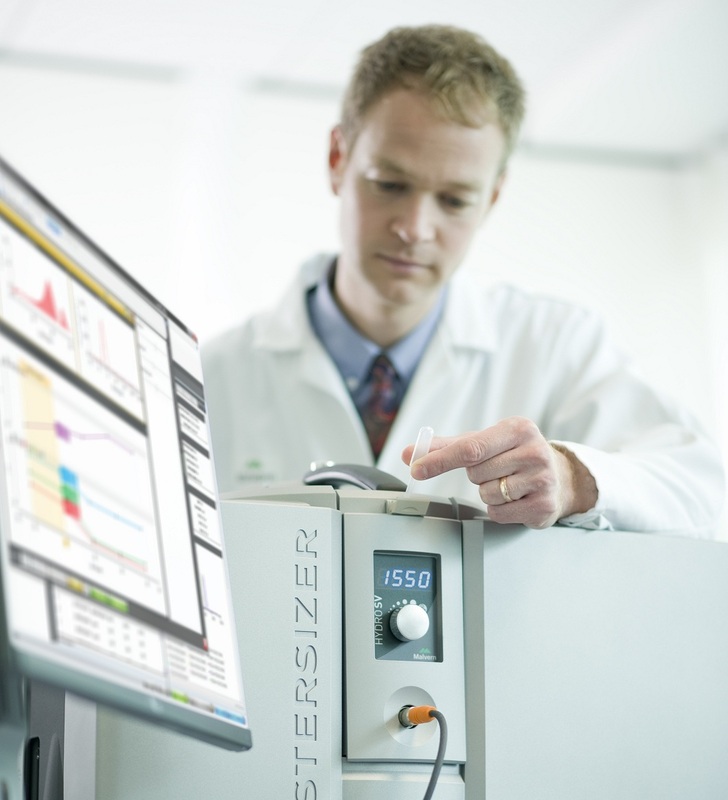 The new Mastersizer 3000 Hydro SV small volume liquid dispersion unit delivers particle size measurement using just a few milligrammes of sample. Particle size is a performance-defining parameter for many industrial products. The ability to measure small samples sizes becomes crucial when sample availability prevents the use of larger amounts of material. This is especially true during early stage product development, for example. By minimising sample and dispersant use the Hydro SV also reduces the development, purchase and disposal costs associated with routine analysis. Efficient sample dispersion ensures that the particle size data measured by a laser diffraction analyser are both representative and relevant. The Hydro SV is a simple, easy to use wet dispersion accessory. It extends smarter particle sizing to small volume measurement by making it possible to both develop and apply wet dispersion using just 6mL of dispersant. This enables reliable particle size information to be obtained in the earliest stages of product development, when material availability is often extremely limited, delivering the essential data required to understand and control product and process performance. The Hydro SV, from Malvern Instruments, has a cuvette design that enables representative sample measurement across a wide range of particle sizes. It has been developed with the same intense focus on ease of use that underpins every element of the Mastersizer 3000 and enables all users, even those primarily familiar with dry measurement, to access the benefits that wet dispersion offers. These include the ability to recover the sample following analysis. The results obtained using the Hydro SV are comparable with those obtained using the Mastersizer 3000’s larger-volume Hydro MV and Hydro LV wet dispersion accessories, supporting efficient method and specification transfer through product scale-up.